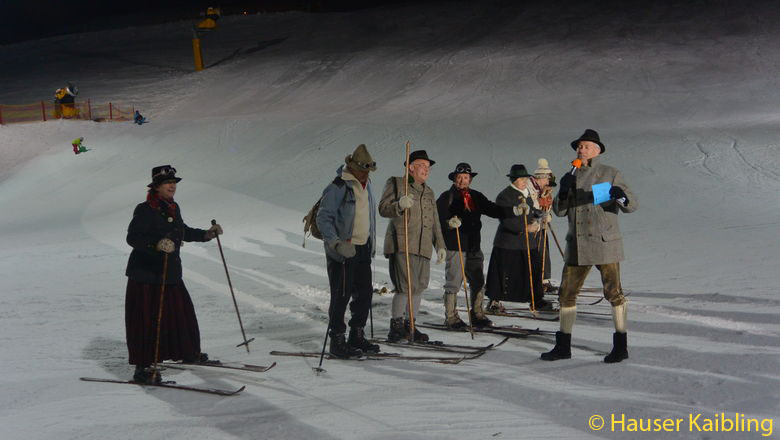 The nostalgic skiers and the ski & snowboard school Haus im Ennstal present, during one hour, the development of Alpine skiing over the past decades. Also participating is Franz Maier-Watzinger, our popular ski-bob athlete. 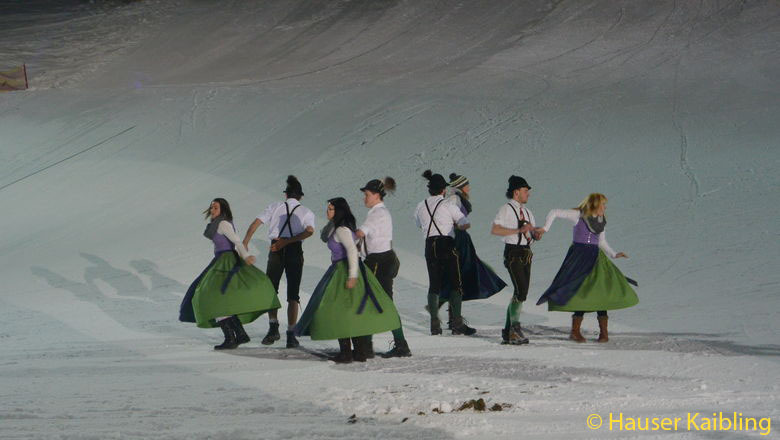 The impressive snow groomers, a motocross athlete, paragliders, sleighs and the "Zipfelbob" girls add to the programme. 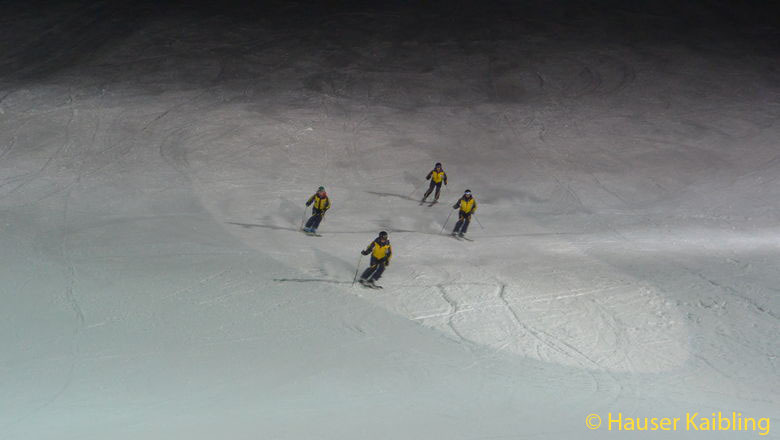 The absolute highlight, however, are the "Slope-Stylers" who show how ski sports will look like in the future with their frontflips, backflips & more. 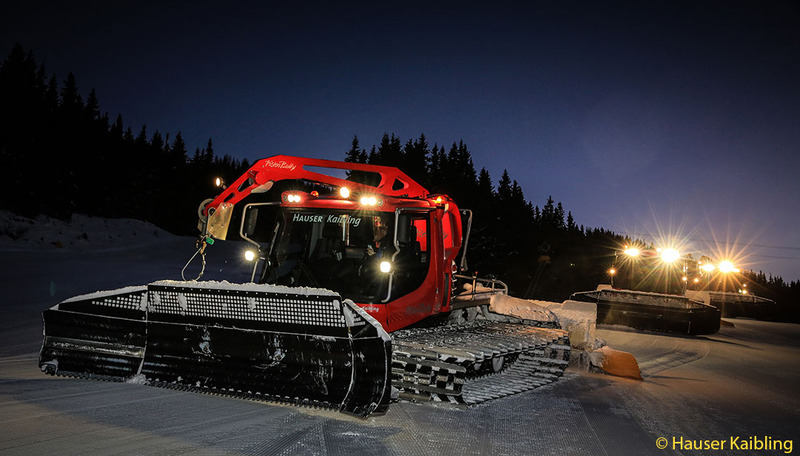 You are welcome to join the snow-bar of the Haus im Ennstal ski & snowboard school to keep warm with hot drinks. Siegfried Steiner will lead you through the program.